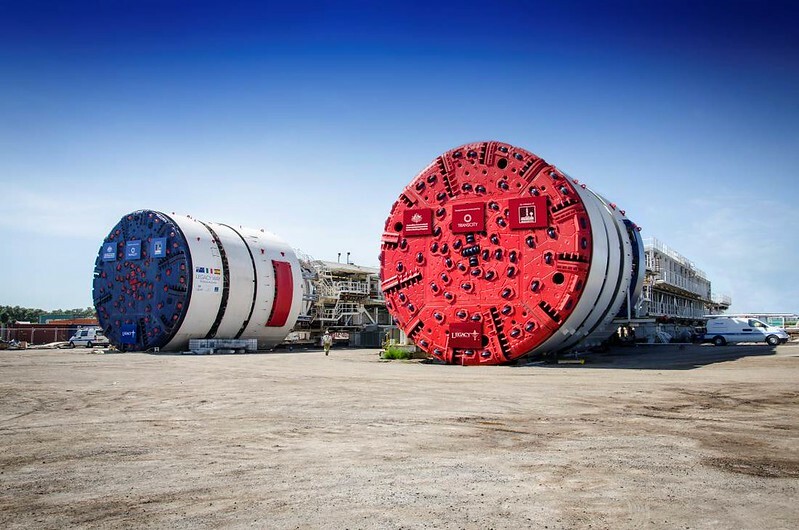 Tesla CEO Elon Musk's tunnel-boring outfit, The Boring Company, has won permission from the Los Angeles suburb of Hawthorne, CA, to dig a tunnel nearly 2 miles long and up to 44 feet deep under city streets, according to Curbed Los Angeles. The project must still get permitting from the state labor and transportation departments. The tunnel will start beneath one of Musk's SpaceX parking areas, where the company has already dug a 160-foot test trench, Wired reported. The 12.5-foot-wide tunnel will test a system of electric sleds that can move vehicles at speeds of up to 125 mph. The company's goal is to speed up tunneling and reduce costs by a "factor of 10 or more," according to its website. That could lead to an increase in the number of tunnels, allowing Musk's hyperloop concept to be implemented more broadly nationwide. Last month, Musk announced via Twitter that he had received the verbal go-ahead from the U.S. government to dig a high-speed, hyperloop train tunnel from Washington, DC, to New York City. Musk said the train would offer travel between the two metros in less than 30 minutes, with stops in Philadelphia and Baltimore. White House representatives said they have been in talks with Musk about such a transportation initiative, but no city officials have confirmed being contacted about such a plan. As far as tunneling, anything Musk can do to reduce the standard cost and length of digging time would be a benefit to the industry. Eliminating breakdowns, or at least devising a way to fast-track repairs so operations aren't sidetracked for years, as they were when the tunnel boring machine carving a path under Seattle for the Alaskan Way Viaduct replacement project broke down, would put The Boring Company closer to its goal. Cost projections for another major tunnel project — the connection of the Long Island Rail Road to New York City's Grand Central Station — are sky high even without any major mechanical problems. As of 2015, the tunnel was estimated at $1 million per foot, with a total cost of more than $10 billion. Regardless of its underground prospects, the hyperloop is making progress above ground. Earlier this month, Hyperloop One, one of the companies racing to achieve a functioning hyperloop system, achieved a passenger pod speed of 192 mph in five seconds. On its current track, Hyperloop One officials said their goal is to reach 250 mph. Higher speeds will require more track.